Day 660: Hockey Ticket Raffle! ​​Support Madison’s dream to walk! 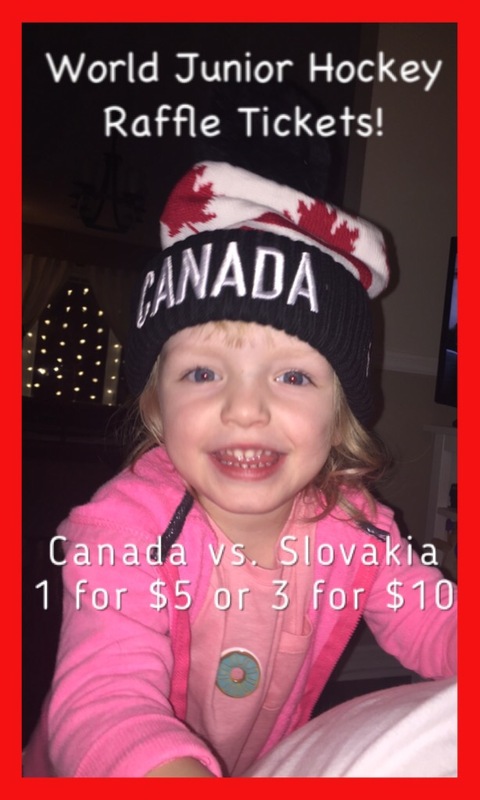 In support of her upcoming surgery, Madison is raffling off a pair of tickets to the Canada vs Slovakia World Junior Hockey game on Tuesday December 27th 8pm. The raffle will take place before Christmas- just in time to give an awesome gift to the hockey fan in your life. Please email: katherinegregoire@hotmail.com if you would like to purchase a raffle ticket. 1 for $5 or 3 for $10! Thanks for helping Madison get to St Louis!